Spring is here and we are still battling chilly, nippy winter-like temperatures. We are all going a bit stir crazy waiting for the warm weather to arrive and dreaming of sunny days at the pool, splish-splashing the days away and enjoying time as a family. While searching for fun things to do over spring break last week, I was given the opportunity to pay visit to a place that quickly put me in the spirit of the summer – Sahara Sam’s Oasis Indoor Water Park in West Berlin, NJ. So we gathered up the kids, towels and a change of clothes and headed off for a much needed day of fun. Located a little over 40 minutes from Delaware County PA, this gem of a water park was the perfect location for a fun family day out – and a great way to enjoy the water in a warm and comfortable 84 degree environment ANYTIME of the year – Ahhhh!!! Inside, you will be greeted by a fun arcade filled with games and prizes galore and a cafe where you can purchase reasonably priced food, snacks and drinks (no outside food allowed). As you enter the water park area, there is a spacious area where you can sit and enjoy food from the cafe and a separate area for birthday parties. The locker areas are easily accessible to everyone travelling with you. You will receive an electronic waterproof wristband (rather than an actual key) to access the locker which makes holding on to the “locker key” no problem while playing and having fun! Next to the locker areas you will also find changing areas and restrooms. Inside the park, you will find attractions suitable for all ages. Or get daring and show your surfing skills on The Flow Rider (Hey this was just as exciting to watch! I will add you must be at least 8-years-old and 42 inches to enjoy this ride with signed permission form). In addition, there are three separate water slides to choose from – my family enjoyed a ride on the Mount Kilamanjaro – which was pure awesomeness!) My kids got a kick out of the fact that the tubes actually run outside of the building!! Last but not least – there is a heavenly Warming Tub – perfect for adults 18 and older looking for a place to relax and unwind. Unfortunately for me and my husband we did not get to try this one out this time, but maybe next time around if we bring along a babysitter! I will have to say – the park was quite crowded the day we visited, as there was more traffic than usual due to the kids being off from school for spring break. We chose to wait until afternoon to visit and after about an hour of play, we started to see the crowds begin to thin out. I will have to say, I was happy to see plenty of lifeguards throughout the park as well as at each individual attraction and they did a great job keeping the crowds under control and enforcing the safety of everyone enjoying the park. 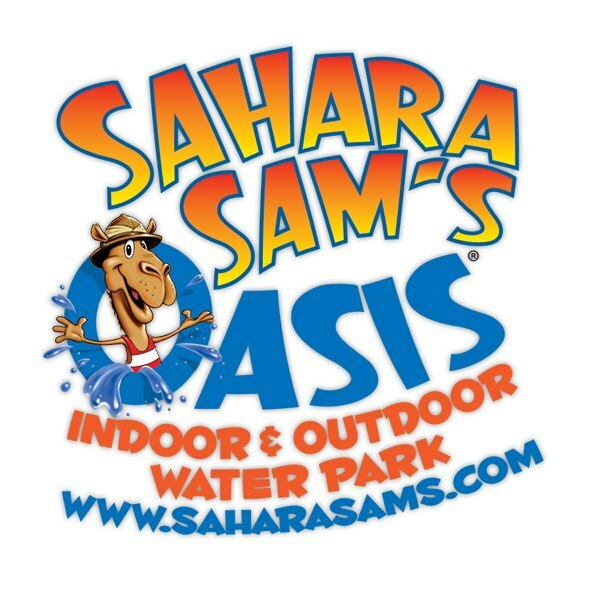 Right now through April 12, 2013, Sahara Sam’s is offering a Spring Break Special with tickets for just $24.95 when you purchase them online HERE. That’s a savings of $8 off the regular ticket price. If you plan to visit after April 12th, you may want to consider upgrading your ticket to an annual membership. For $59.95 per ticket, you can enjoy unlimited visits to Sahara Sam’s all year long – and it will pay for itself after just 2 visits! And – guess what? If all of this doesn’t already sound awesome enough, Sahara Sam’s will be expanding this May! Yes, that’s right – this spring Sahara Sam’s will be adding a two acre, $5 million dollar outdoor water park, which is set to include a leisure pool, children’s splash area, tiki bar, cabanas, volleyball courts and a 12,000 sq ft Wave pool! The outdoor expansion will be included with the regular admission price so guests will have the option of enjoying both areas during their visits! Hey – what an even better reason to purchase an annual membership, right? Oops – and I almost forgot to mention – Sahara Sam’s offers some really cool birthday party packages too! What kid wouldn’t love such a fun place to have their party? Sahara Sam’s is located at 535 N Route 73, West Berlin, NJ. Be sure to follow Sahara Sam’s on Facebook and Twitter for all of the latest news and specials. So, what do you think? Does this sound like somewhere you and your family would enjoy checking out? Lucky for you, Sahara Sam’s is generously giving away a family 4 pack of tickets to one very lucky Delco Deal Diva reader! Simply enter via the easy Rafflecopter below for your chance to have some fun at Sahara Sam’s! Good Luck! Disclosure: My family and I received tickets to Sahara Sam’s Oasis Indoor Water Park to facilitate this review. Opinions, as always, are 100% my own. I like the Flow Rider! I think my daughter would love the Lizard Lagoon. Everything looks so fun but the Lizard Lagoon is adorable! The Lizard Lagoon looks like our speed, too! Very fun! The Whip and Roll looks pretty fantastic! The flow rider looks awesome! I would love to try out the Flowrider with my girls, I dream of being able to surf but I am a big chicken T.his is the closest I would get. My kids are finally at the age where they want to go to waterparks–this looks like a great way to not have to wait until summer! I’ve always wanted to try this place since we have family that live close. I think the Congo River tubes look like fun since not a lot of indoor parks have that option! We’d love to go – never been and we’re always looking for a new adventure! The toddler area looks so fun for my two little ones! Would love to try the Flowrider. Looks like so much fun! I would love to relax on the Congo Bongo River Ride. any of the slides look really cool! Since my son is 4 I think it would be the “Lizard Lagoon” for us! I’d definitely be on the river ride! I like the flow rider. This place looks awesome! Always wanted to check it out! So looking forward to going! Wow, I think our family needs to make the trip there! I would love to see my kids try to get passed the Crocidile Flats obstacle course. Good blog, thank you sharing this information with us. Hey, your blog is looking fabulous due the snapshots of the water park. We can get good relaxation at water parks. This is great vacation spot especially for kids because they love to play those kind of games. Thanks for sharing such a beautiful thing for us.